Everyone wants a brilliantly white smile. Your smile is the first thing others notice about you, just as not smiling to hide dull, discolored or yellow teeth can make you appear unwelcoming or unhappy. You need your smile to have the immediate and subconscious impact on others that makes you appear healthy, happy, confident and strong. All of those positive benefits of a bright white smile can be gained through professional teeth whitening at West Hollywood Holistic and Cosmetic Dental Care. Major credit cards accepted. In house Financing and care credit available. 0 down payment and low monthly payments. Everyone in our practice understands how difficult it can be to pay for your dental treatments. But that is no reason to put off the care you need. We work with our patients through acceptance of most insurance policies, affordable payment options and development of treatment plans that are affordable but still meet your dental treatment goals. Although your tooth enamel is stronger than any other substance in your body, it is porous and easily stains and discolors. This occurs when staining materials seep into enamel and through to its underlying layer of the tooth, dentin. Stains are often not reactive to tooth brushing and even professional cleaning at the holistic dentist's office may not remove all of your yellow and brown stains. Coffee, soda, tea, red wine and tobacco are some of the worst culprits, when it comes to staining your teeth. But thanks to teeth whitening by your West Hollywood cosmetic dentist Dr. Bruce Vafa, your teeth can once again be beautifully white. The teeth whitening expert of West Hollywood Holistic and Cosmetic Dental Care can achieve results that no over-the-counter whitening agent can provide. In-office teeth whitening provides immediate results with simplicity, efficiency and comfort. Even better, expert teeth whitening is one of the most economical ways to makeover your smile. You may remember when you were a young child and you had naturally white teeth. Now as an adult, when you look in the mirror you likely see darker, yellowed or even stained teeth. Those white teeth of youth are gone. When you can brighten your smile to that whiter appearance of your childhood, your entire face appears more youthful and people perceive you as healthy. 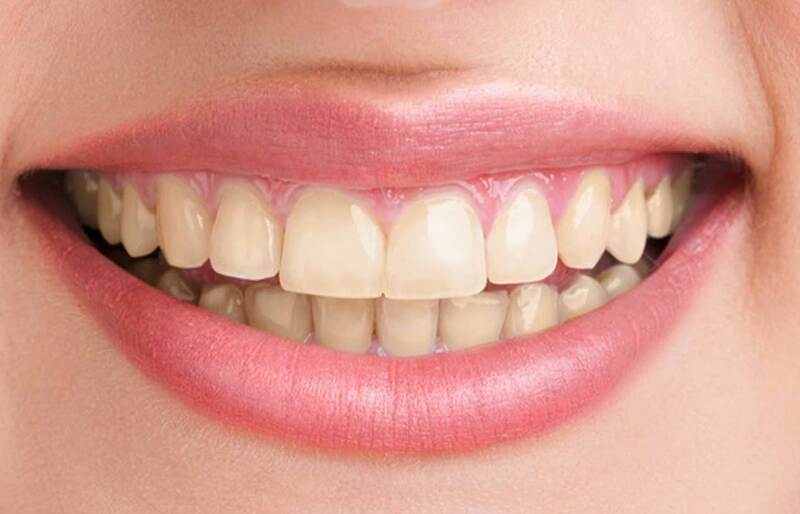 There are many ways that teeth become yellowed and stained. Many of the things we choose to eat and drink each day are the worst culprits of tooth yellowing. Genetics, aging, excessive fluoride, tetracycline, decay, trauma, developmental disorders, restorations, root canal problems and antibiotics are other causes of discoloration. Teeth do not just yellow on their surfaces. They also discolor internally, where changes affect the enamel and dentin. When you look at a celebrity with a bright white smile, you may think they look like "a million bucks." This is what people think, when they see a bright white, healthy smile. A smile is highly valuable, even more so when it is vibrant. 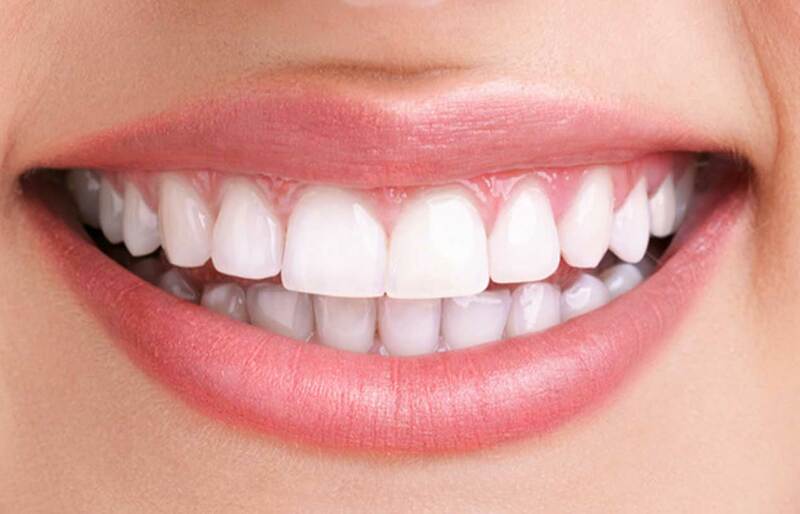 Professional teeth whitening like that of West Hollywood Holistic and Cosmetic Dental Care provides the best results. This is because stronger agents are used by your expert cosmetic dentist than you can gain anywhere else. Also in your cosmetic and holistic dentist's office, whitening agents are only applied to your teeth. Your lips, gums and the rest of your mouth are protected from these materials. This is something that cannot be done using at-home whitening methods. At-home whiteners are also only slightly effective. Your cosmetic and holistic dentist is able to protect your tooth enamel when expertly whitening your teeth. Dr. Bruce Vafa uses a gel that includes a buffer that protects this important part of your tooth anatomy from damage. Despite greater protection of other oral tissues and surfaces in the dentist's office during teeth whitening, your professional results will far exceed home results. You can enjoy whitening of up to ten shades' improvement in about an hour at the dentist's office. Once your teeth have been professionally whitened, you can supplement the results and help your teeth to remain vibrantly white by using a take-home whitening kit. If you are concerned about tooth sensitivity, your holistic dentist can help ensure your teeth remain comfortable throughout the process and after whitening. Most cases of tooth sensitivity can be effectively managed. Your bright white results from West Hollywood professional teeth whitening can last for one year or more. Much of how long your results last depends upon your lifestyle, whether you smoke and how you take care of your teeth. For at-home whitening, your West Hollywood teeth whitening expert can provide you with custom fitted trays for gradual results. Trays are customized for a precise fit on your teeth, helping you to enjoy daily whitening with minimum risk for gum irritation. Dr. Vafa can provide a prescription-strength, powerful whitening solution that is not available in stores. This solution is used according to the dentist's instructions, whitening your teeth gradually yet more effectively than whiteners available over-the-counter. Because everyone's smile is unique, Dr. Vafa will help you understand capabilities of the different whitening methods and how your individual smile goals can be met. 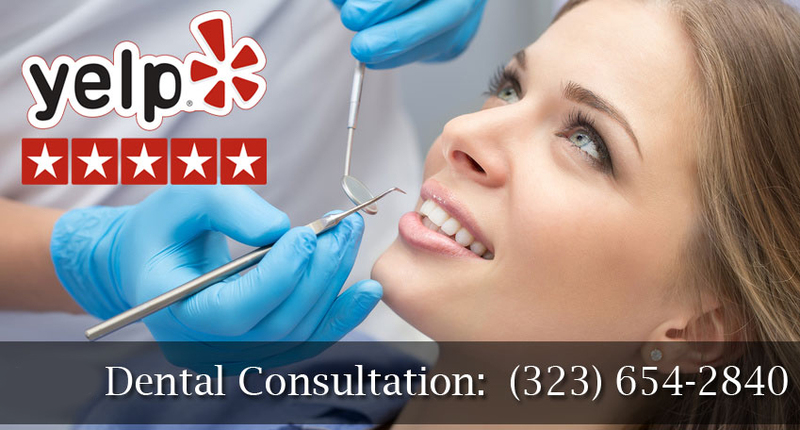 He will explain your options to you and make recommendations for your best, most vibrant smile. Regardless of how brilliant your smile looks after expert teeth whitening in West Hollywood, you need to maintain good oral health with daily brushing and flossing. There are also touch-up treatments that Dr. Vafa can recommend, to keep your whitened teeth looking their best.